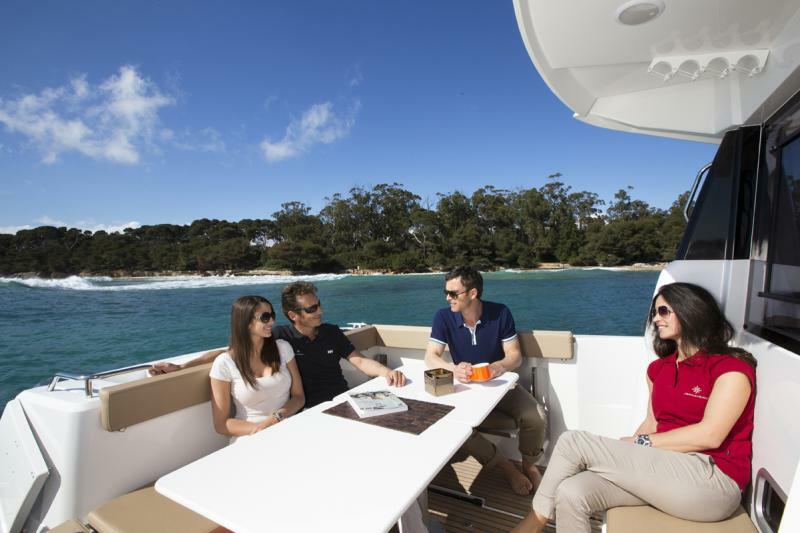 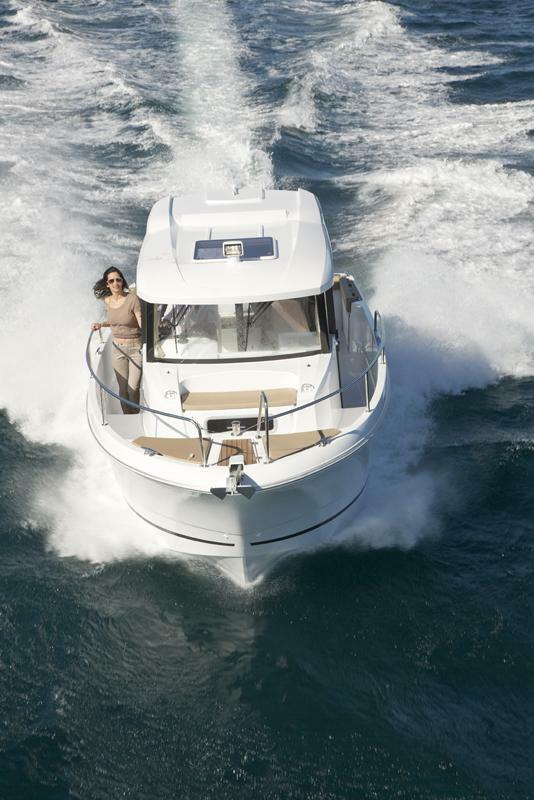 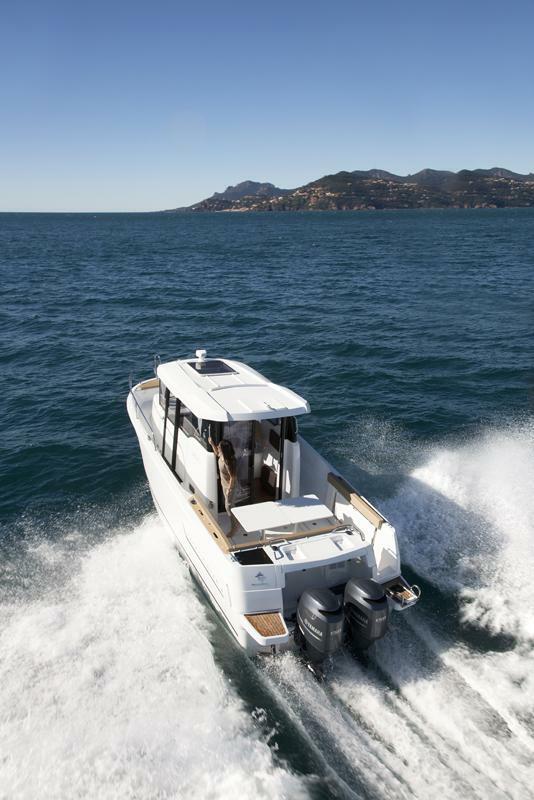 The NC 875 Sport features all the characteristics of a «Crossover of the sea,» as Jeanneau envisions it. 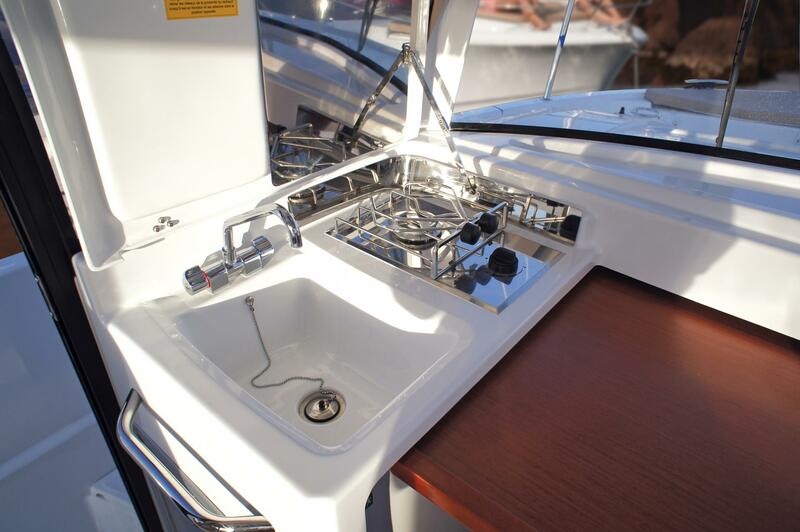 It is in this spirit that she has been endowed with a contemporary design and distinct personality, excellent ergonomic design features, and extreme versatility, with two available versions. 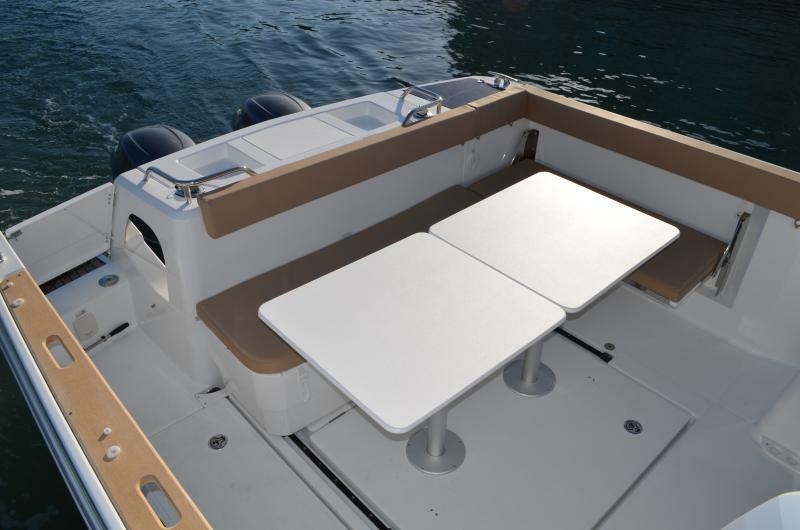 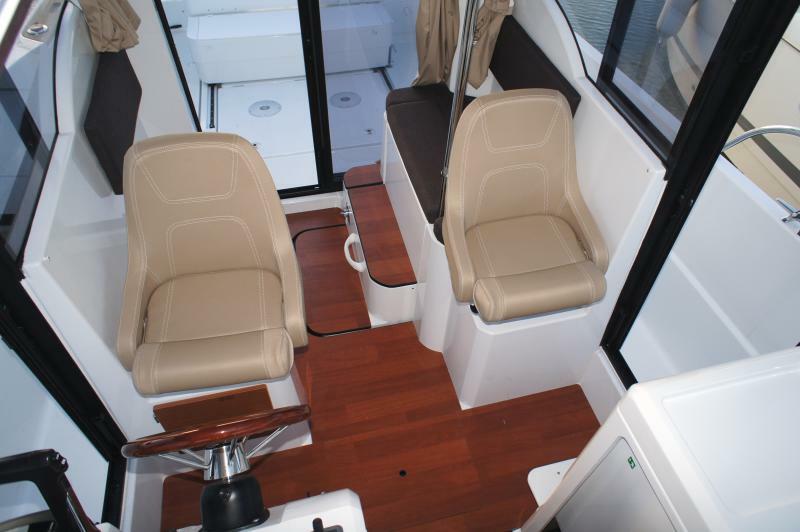 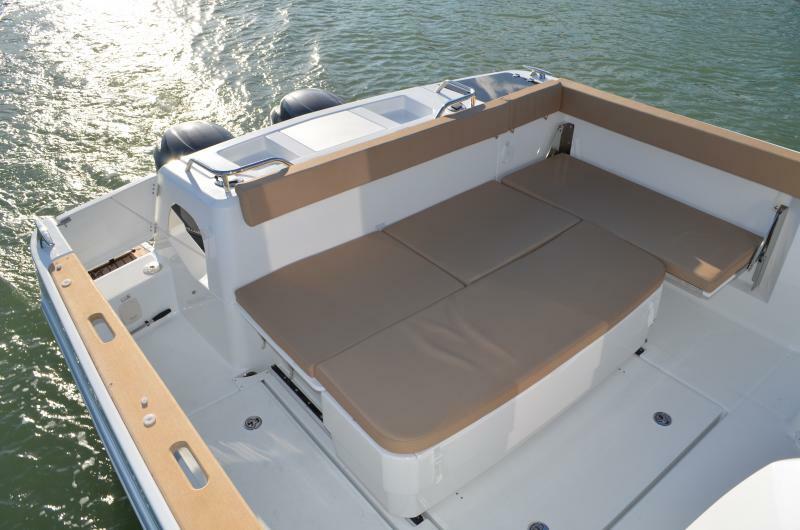 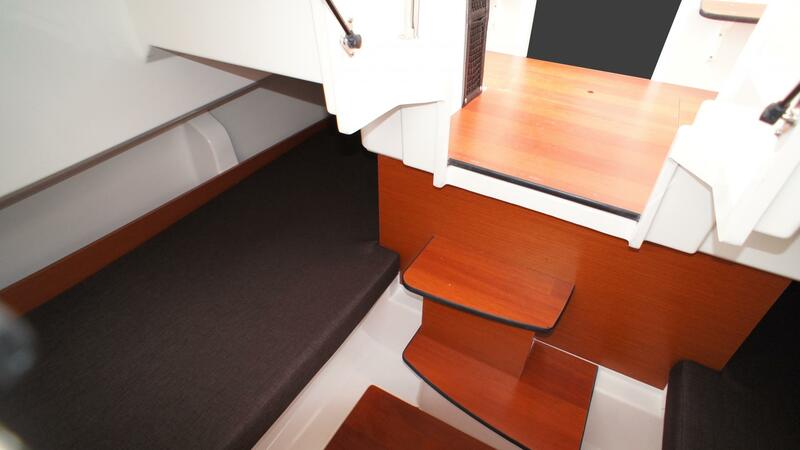 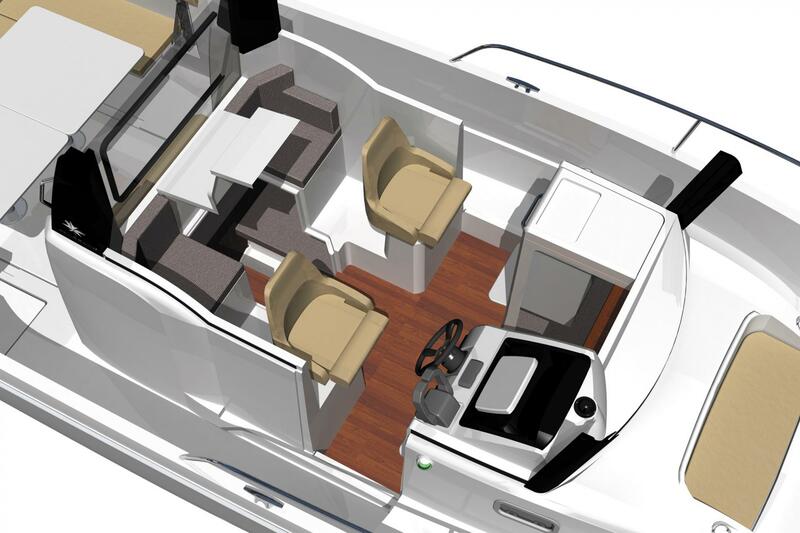 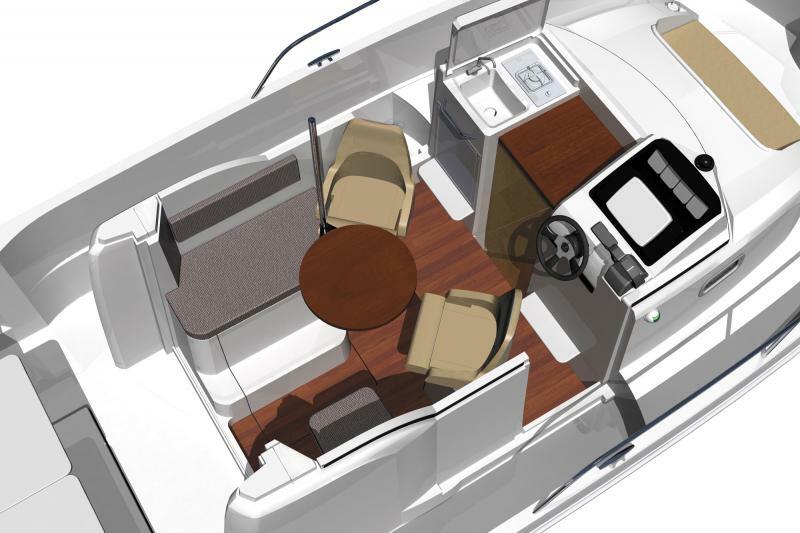 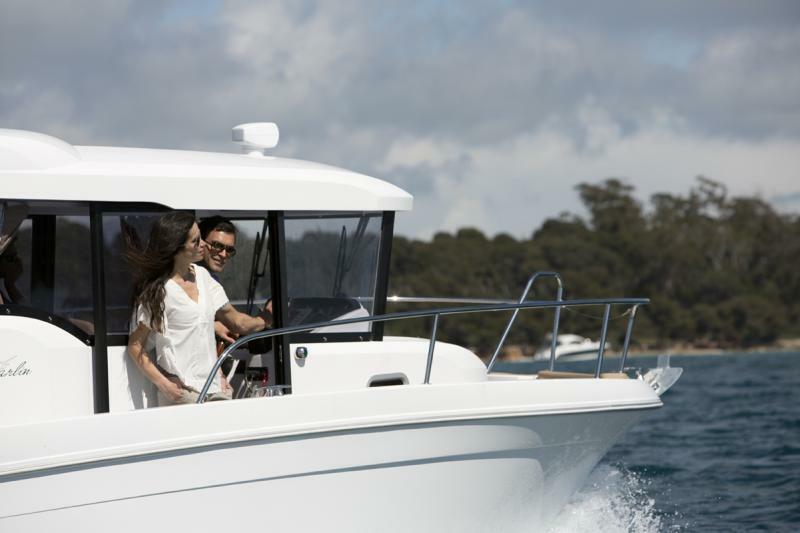 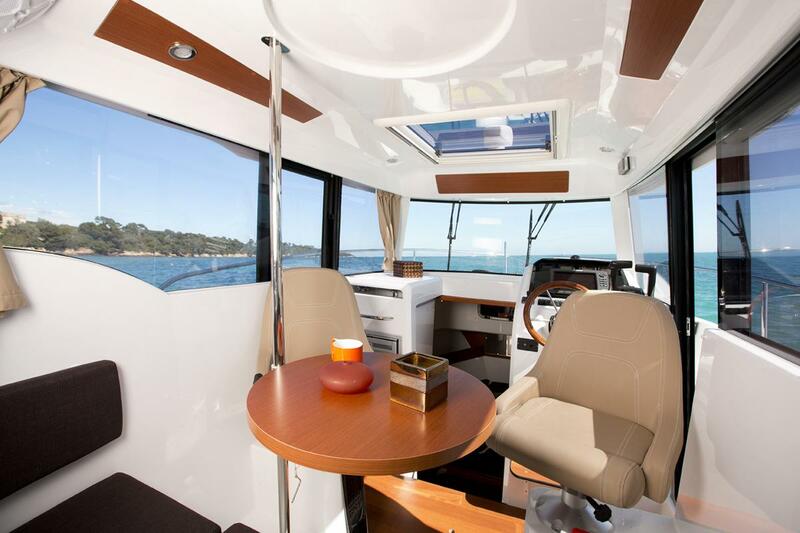 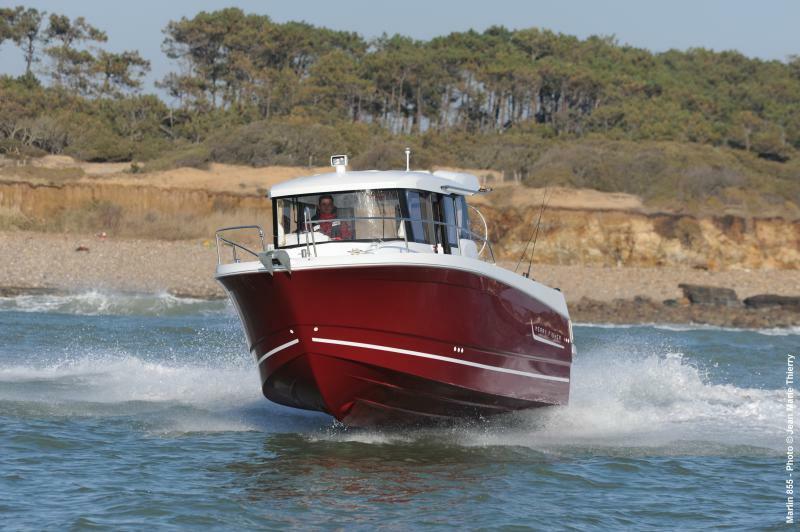 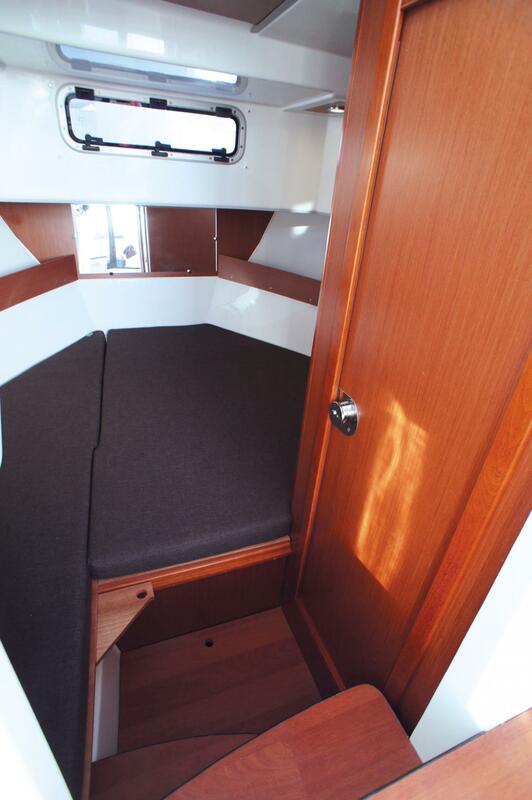 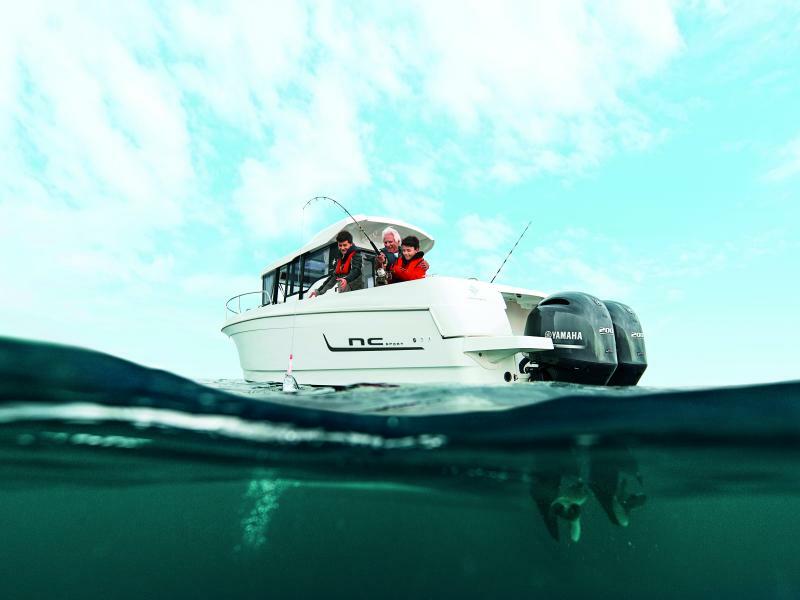 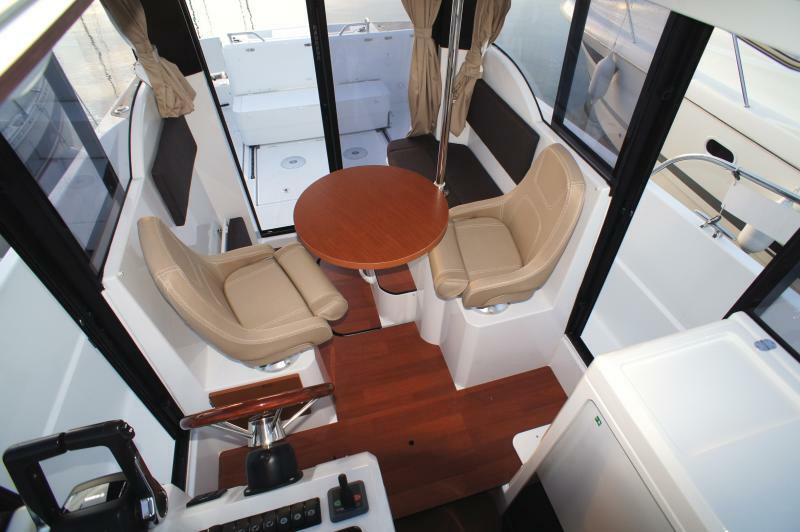 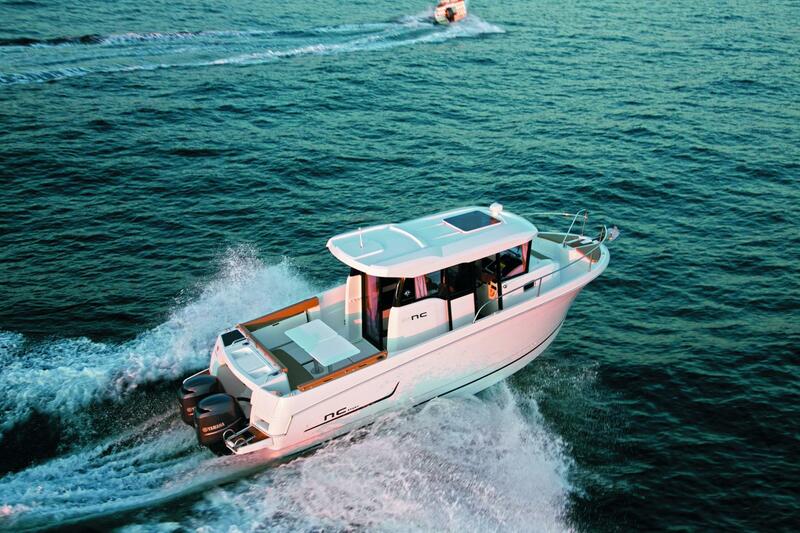 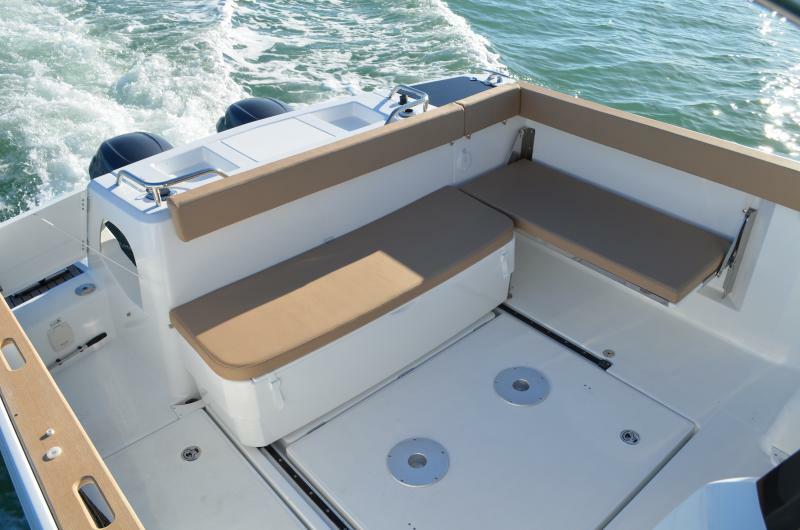 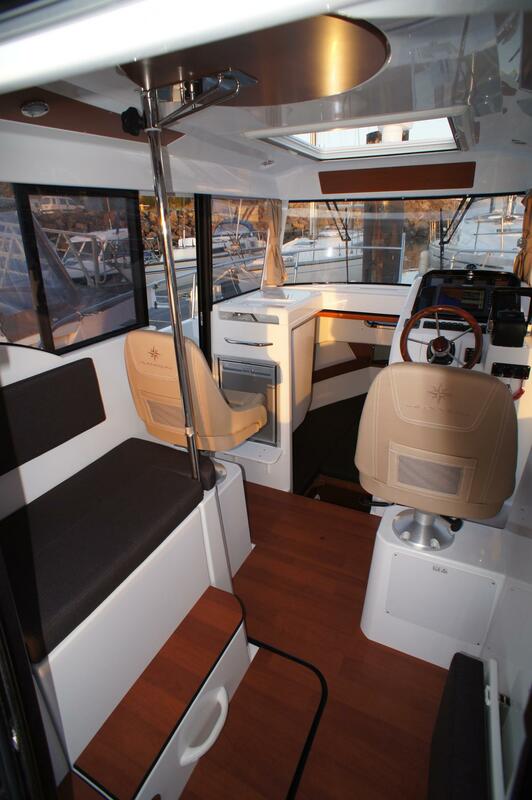 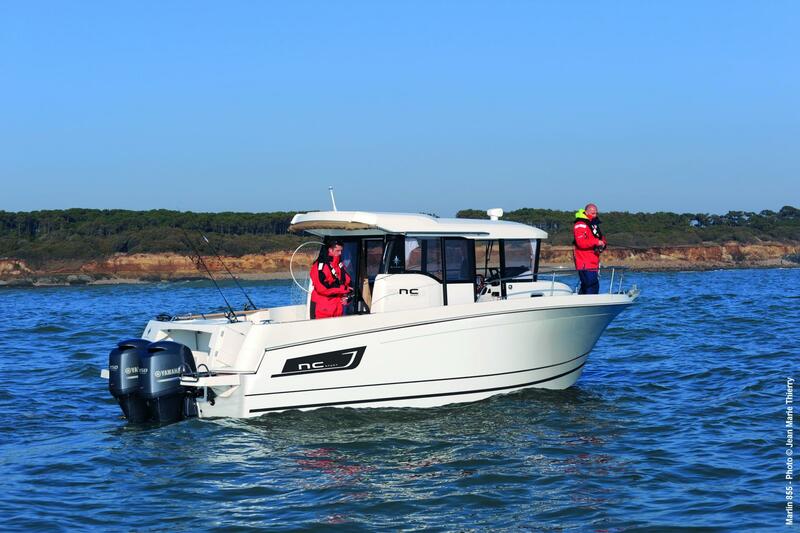 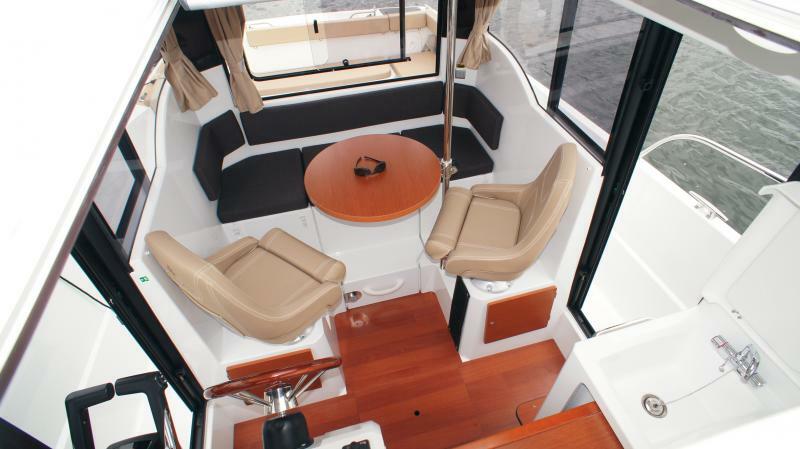 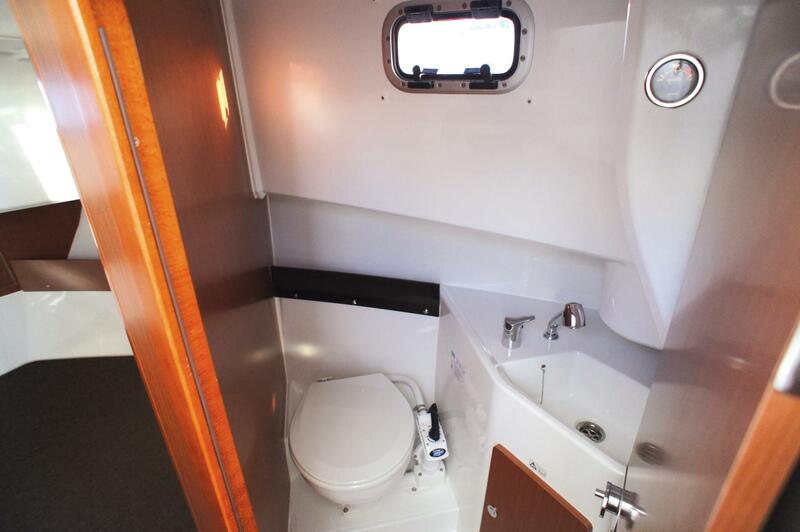 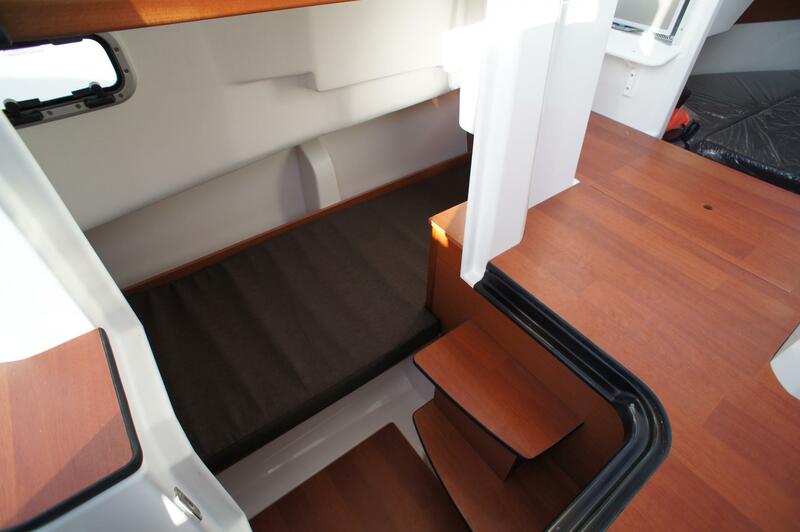 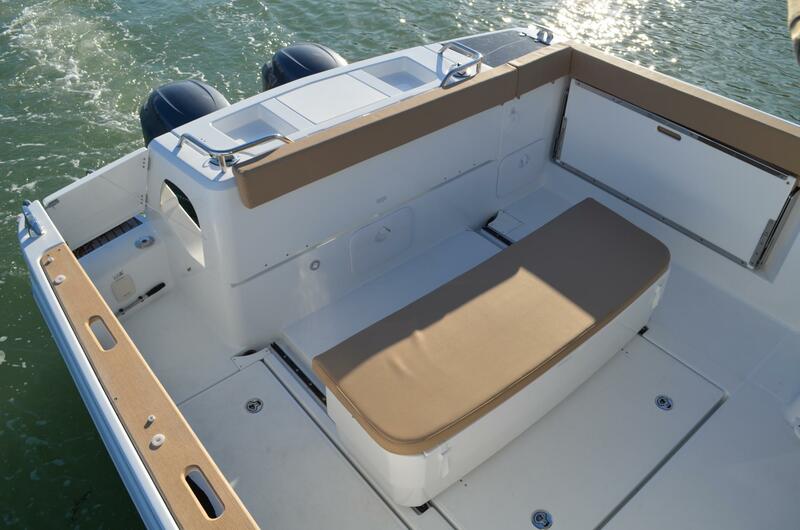 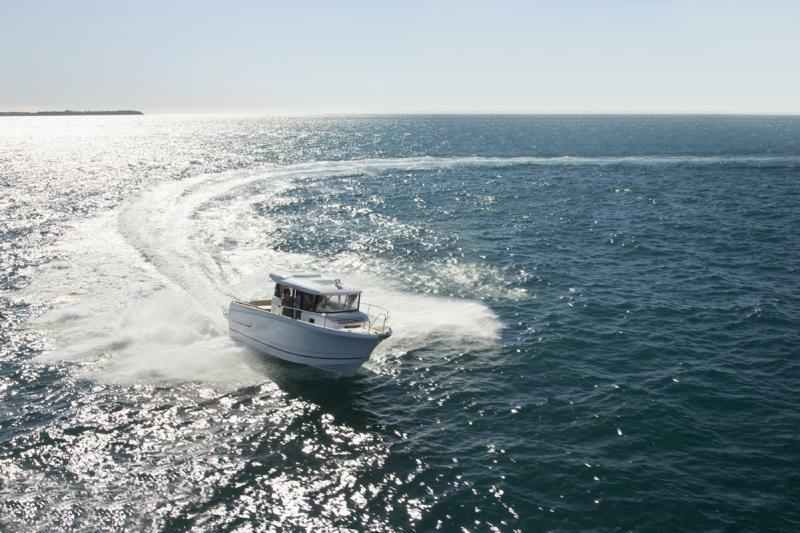 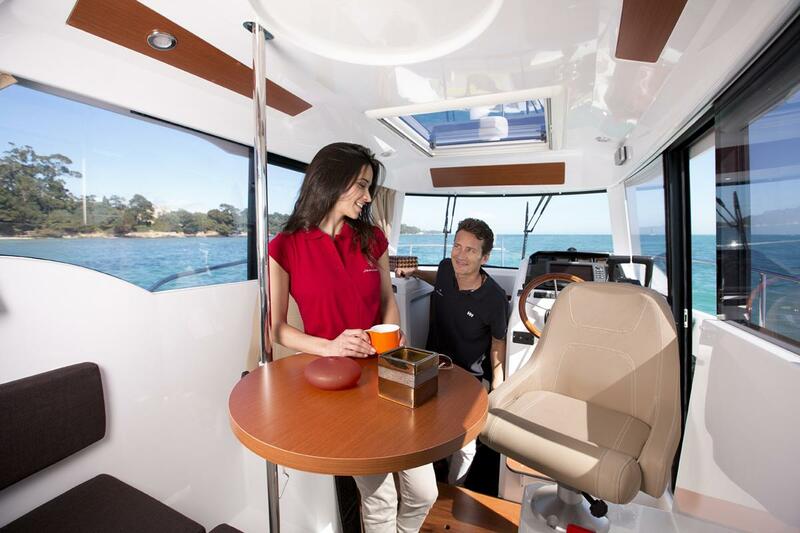 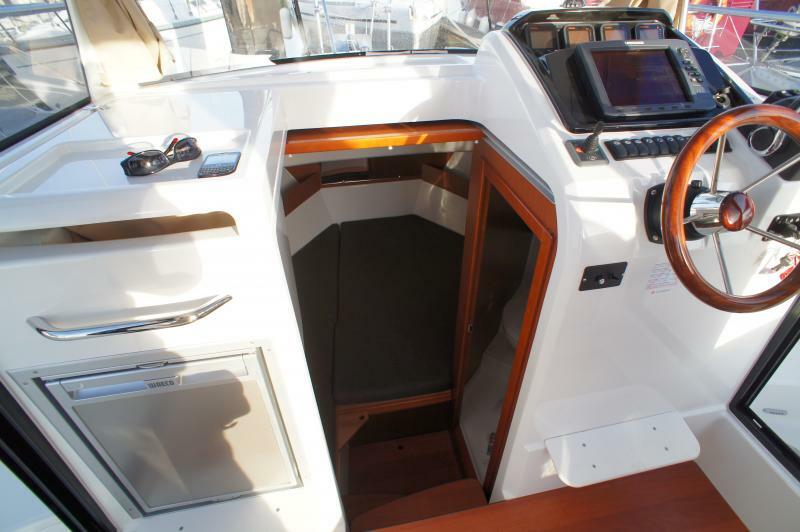 If functionality is guaranteed, the level of comfort aboard the NC 875 Sport is also high, with as much liveable space on the interior, with a comfortable forward saloon (sleeps three to four people), as on the exterior, with a spacious aft cockpit that is entirely modular (open space for fishing / cockpit with table / sundeck).